Recommended for beginners. Heart centered practice using slower-paced standing & seated postures combined with slower moving sequences emphasizing alignment, breathing, awareness & honoring where you are in the moment. Modifications & progressive variations offered. Therapeutic applications of poses to strengthen and lengthen back muscles, align the spine while creating space and relieving tension in the upper and lower back. Intention is to maintain a spacious, healthy and strong back and is safe for anyone with non acute, moderate low back pain. Weaving breath with Sun Salutes (Surya Namaskar) into postures creating a tapestry of movement designed to release stress, open the body, clear the mind and inspire the heart. Cultivating a continuous flow of awareness, intention and movement as a form of meditation. Sacred Sunday Flow is a Level 2 class that is an invigorating, devotional, alignment based vinyasa flow practice designed to support practitioners who want to engage with Yoga as a path of empowerment and transformation. Rich, meaningful asana infused with breath, meditation, self inquiry, sacred study and maybe some laughter, inspiring music, and singing along the way. You are invited to explore the light of your inner wisdom and encouraged to move in a way that deeply honors your personal experience, and to work playfully yet with focused awareness to create your own moving meditation. Life moves fast. Yoga doesn’t have to. This class may include restful poses, long delicious holds, gentle movements, breath work all designed provide deep rest and relaxation for your body, mind and spirit. Come and chill out, relax and leave refreshed, and at peace. Open to all levels. Recommended for beginners & those with physical injuries. Support the body’s natural healing process using the power of precise alignment & therapeutic applications of postures. Focusing on a region of the body, using proper alignment to increase wellness & decrease pain. Yoga Nidra is a profound form of guided meditation / relaxation for people seeking everyday well-being. Yoga Nidra restoratively enables recognition of your innate peace of mind which is always present amidst all changing circumstances of life. 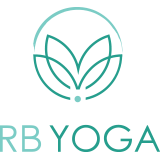 Yoga Nidra provides you with tools to help you relax deeply, release stress, increase resiliency, improve relationships, and provides you with greater mastery and control in your life. Join us as we mindfully nourish noble qualities of joy, peacefulness, and empathy. iRest©, or Integrative Restoration, is a comprehensive meditation practice. Based on ancient yogic teachings, iRest is both an educational process that focuses on physical, psychological and spiritual well-being and a meditative path to awakening. Like traditional Yoga Nidra, iRest is a guided meditation that can be done either seated or lying on a mat and is perfect for beginners to meditation as well as advanced practitioners who may be looking for a way through periods of feeling stuck or lost in their current meditation practice. The iRest protocol allows each student to focus on areas that are specific to their interests and situation, supporting them to experience, without outside imagery, rest and relaxation for the body and mind.